So, long time, no see, huh? Oops! I have a bunch of posts saved in my drafts I was trying to ‘perfect’. Well, they’re never going to get posted that way, so I’m just going to go for it and start posting again. 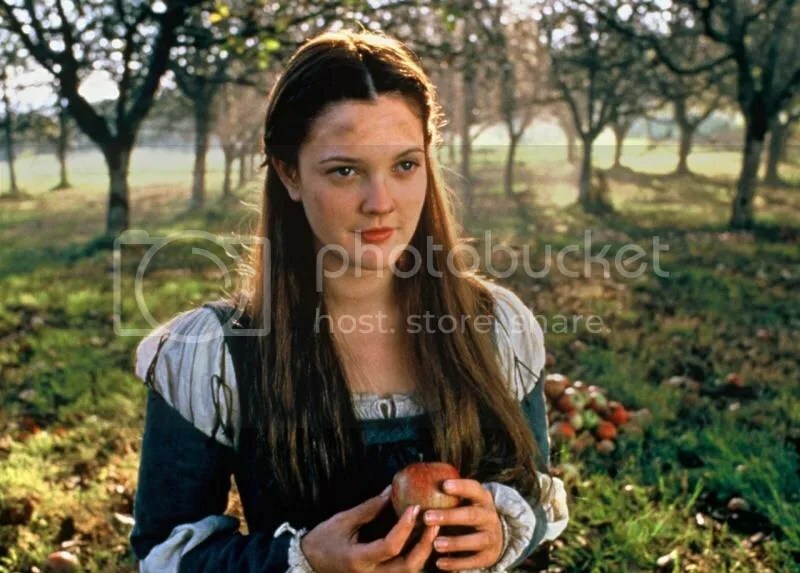 In my early teen (or possibly pre-teen) years I went through a period where I was obsessed with Drew Barrymore – I know I’m definitely not alone in this. I cut out pictures of her from magazines, I hunted down a copy of her book Little Girl Lost, I had a poster-picture book (some of the pages made it to my wall, others were just perused) and I tracked down as many of her movies as I could at my local video stores. I don’t remember exactly what age I was when this happened but I know that I had pictures from Ever After: A Cinderella Story cut out from magazines and stuck on my school diary. And I know that I saw it at the cinema. In fact, I’m fairly certain I saw it twice. I instantly fell in love and, to this day, it remains a favourite. I find it interesting that this film both subverts and upholds fairy tale tropes (many of which we are familiar with through watered down Disney versions of the folk tales, if not always the original tales themselves). Danielle is not your Disney version of Cinderella – she not only saves herself (from Pierre le Pieu played by Richard O’Brien who does slimy so well!) but also saves the prince when they meet a band of travellers who try to rob them. Danielle asks if she can have anything she can carry and, when assured she can, simply picks Henry up and puts him over her shoulders, and begins to walk off with him. The result is one of my favourite scenes of all-time. The astonishment of both Henry and the travellers at Danielle’s actions could be seen as poking fun at a woman doing such a thing, but I just think it shows Danielle’s ingenuity and courage. Danielle also saves Henry symbolically: from the ennui that threatens to overtake his life and by making him see that his privilege is something he can use to help other people, rather than the cage he believes it to be. Danielle may not have complete control of her life, but she is not simply waiting around for someone else to complete her life or make her happy, either. Henry also gets a lot more personality than the early Princes Charming of Disney. And Dougray Scott with that floppy, swoopy hair. Swoon. Anjelica Huston is fantastic as Rodmilla, the not-very-nice-but-not-entirely-evil stepmother, who is clearly more complex than the mean women of fairy tales; she was a woman abandoned by the death of her second husband and has become increasingly desperate to keep up appearances. 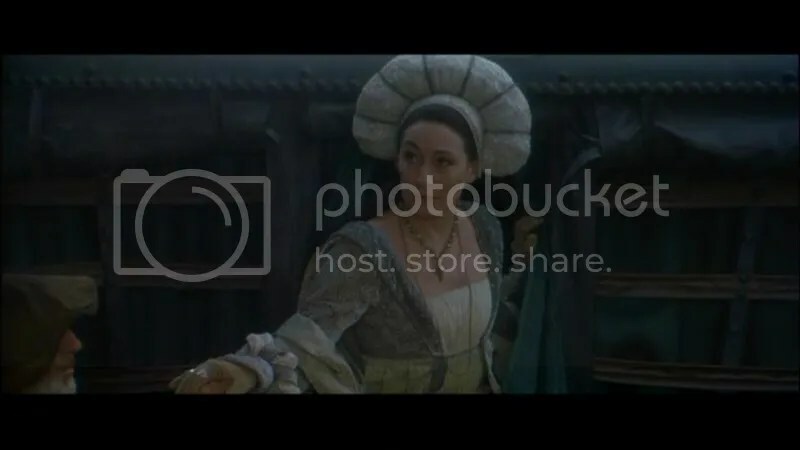 Another trope we see in Ever After is the virgin/whore dichotomy, though it is more subtle than in other films. Danielle is rarely, if ever, presented as sexualised, even when she is kissing Henry. This is possibly due in part to the younger target audience, but she is also often associated with nature and can be read as ‘pure’. This is largely in direct opposition to Marguerite who is flirtatious and overtly sexual at times. The camera never ogles Danielle, but it does highlight the provocative nature of Marguerite’s outfits. Rodmilla and Marguerite are still punished (for their ambition and vanity as well as their cruelty to Danielle) but in such a way that allows Danielle to show her compassion. At least they didn’t have their eyes pecked out, right? And, just as in the tales we are familiar with, there is still the ‘happily ever after’, though as the voiceover of Jeanne Moureau says, it’s not important whether or not they lived happily ever after, but that they lived. Like all media, it’s not perfect. Sarah Hentges has cited it as the favoured Cinderella of feminists, while still critiquing the problematic aspects, and others have dismissed it as a feminist retelling entirely. Me? 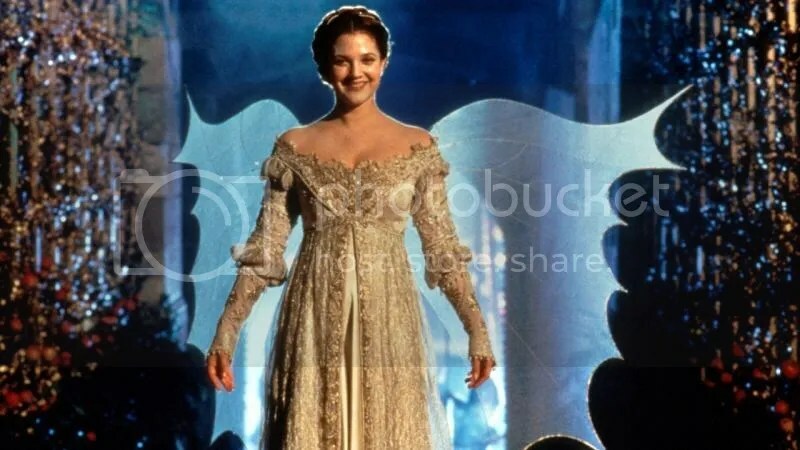 I think Danielle fits in well with the (pop)feminist rhetoric of the ’90s, and I still see her story as a refreshing retelling of Cinderella. The film will always hold a place in my heart because of childhood nostalgia, too. And I will never be over that iconic ballgown. Sigh.